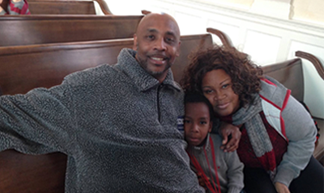 Deidra Eskew, DC native and mom of two, knew when she came to Community of Hope that she had to change. She had never known her father and, as a result, went through much of her childhood and into adulthood feeling alone. She had harbored resentment towards her mother – due to her father’s absence and then was burdened with guilt and sadness when her mom passed away. These pains led Deidra down a long, dark path; one of self-medicating and unfortunately, addiction. Her substance use increased when she took on a managerial role that often required working 24-hour shifts. It all became too stressful and she left her job. Deidra had to get better not only for herself but for her kids. She was later referred to Community of Hope’s transitional housing program, Hope Apartments. This small but important program is one of very few in DC that allows families to remain intact while the head of household works on their recovery goals. Deidra knew that this type of recovery was what her family desperately needed to be happy and stable. Since arriving at Hope Apartments, Deidra is making daily steps to maintain her sobriety and plan for the future. 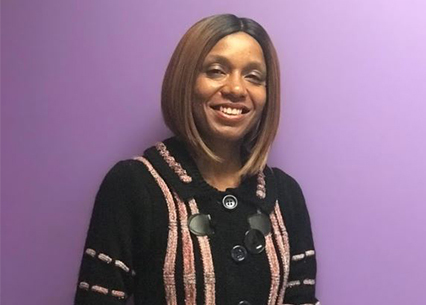 With the support of Hope staff and services, Deidra is letting go of suppressed anger and hurt from her childhood and challenges in her adult life, allowing her to feel free again. Deidra worked with her case manager to create a plan towards achieving her goals. In Deidra’s first month of being at Hope, she completed eight action steps on that plan! She shifted priorities and is focused on tasks like keeping her house organized and clean, ensuring her kids are off to school, and achieving more goals off her list. Next, it will be going back to school for medical billing and landing a good job in an office setting. She is also accessing the resources available at Hope to help manage her finances. Deidra says that, when she got to Hope, she knew that her family was going to be okay because of the support systems surrounding them and the encouragement pushing her to do better.